Enter your name and email address below to have your results as well as the test questions, your answers and the correct answers delivered to your inbox. mTouch Quiz will automatically populate the fields below. Feel Free to add additional fields for the Quiz Taker to complete using the "Add Fields" options to the right. The number of correct answers. This has the same value as the %%SCORE%% Variable on the Final Screen. The total number of questions. This has the same value as the %%TOTAL%% Variable on the Final Screen. Correct answer percentage. This has the same value as the %%PERCENTAGE%% Variable on the Final Screen. Number of wrong answers. This has the same value as the %%WRONG_ANSWERS%% Variable on the Final Screen. Time allowed (Requires timer add on). This has the same value as the %%TIME_ALLOWED%% Variable on the Final Screen. Time used (Requires timer add on). This has the same value as the %%TIME_USED%% Variable on the Final Screen. A patient complains of marked weakness, nausea, vomiting and weight loss. His skin appears well-tanned, although he denies any sun exposure. The laboratory studies demonstrate an elevated potassium, a low sodium and eosinophilia. What is the most likely diagnosis? This is Addison's disease, autoimmune destruction of the entire adrenal gland. 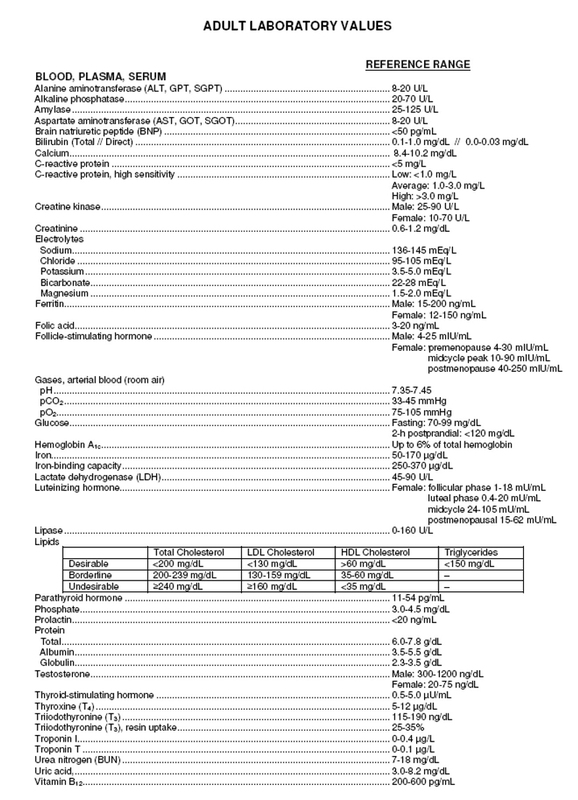 No Cortisol, increased ACTH (pigmentation), high K & low Na (no aldosterone). A patient with a hernia complains of severe pain and a persistent lump in the groin. The contents of the hernia are ischemic. What is the best description for the hernia? Incarcerated means "not reducible", strangulated means "ischemic", or no flow. A 46 year-old patient with chronic hypertension, suddenly discontinues the use of his antihypertensive agent. This patient presents to your office with a blood pressure of 198/116 in the left arm. The patient denies chest pain and shortness of breath. You note no evidence of acute end-organ changes on physical examination. His laboratory studies and EKG are normal. What diagnosis will you place on this patient's chart? Hypertensive emergencies are severe elevations in blood pressure (BP) that are complicated by evidence of progressive target organ dysfunction, and will require immediate BP reduction (not necessarily to normal ranges) to prevent or limit target organ damage. Examples include: hypertensive encephalopathy, intracranial hemorrhage, unstable angina pectoris, or acute myocardial infarction, acute left ventricular failure with pulmonary edema, dissecting aneurysm, or eclampsia. While the level of BP at the time of presentation is usually very high (greater than 180/120 mm Hg), keep in mind that it is not the degree of BP elevation, but rather the clinical status ofthe patient that defines a hypertensive emergency. For example, a BP of 160/100 mm Hg in a 60-year-old patient who presents with acute pulmonary edema represents a true hypertensive emergency. 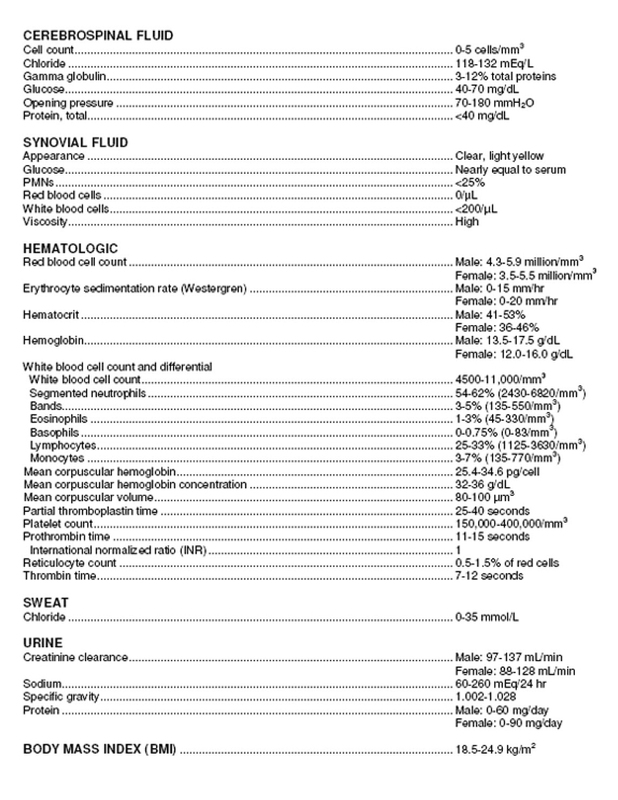 Traditionally, hypertensive crises have been divided into emergencies and urgencies. Hypertensive emergencies are severe elevations in blood pressure (BP) that are complicated by evidence of progressive target organ dysfunction, and will require immediate BP reduction (not necessarily to normal ranges) to prevent or limit target organ damage. Examples include: hypertensive encephalopathy, intracranial hemorrhage, unstable angina pectoris, or acute myocardial infarction, acute left ventricular failure with pulmonary edema, dissecting aneurysm, or eclampsia. While the level of BP at the time of presentation is usually very high (greater than 180/120 mm Hg), keep in mind that it is not the degree of BP elevation, but rather the clinical status of the patient that defines a hypertensive emergency. For example, a BP of 160/100 mm Hg in a 60-year-old patient who presents with acute pulmonary edema represents a true hypertensive emergency. Hypertensive urgencies are severe elevations of BP but without evidence of progressive target organ dysfunction and would be better defined as severe elevations in BP without acute, progressive target organ damage. Most of these patients are, in fact, nonadherent to drug therapy or are inadequately treated hypertensive patients and often present to the ED for other reasons. Patients with severe elevations of BP can be managed in the ED with oral agents and appropriate follow-up within 24 hours to several days depending upon the individual characteristics of the patient. It is the correct differentiation of these two forms of hypertensive crises, however, that presents the greatest challenge to the physician. Olecranon bursitis from leaning on a hard surface. Which of the following is most likely the cause of galactorrhea and amenorrhea? Prolactin-secreting adenoma is the most common cause of galactorrhea/amenorrhea (after exclusion of pregnancy). I would choose Sheehan's syndrome if the question stated that the patient had a postpartum hemorrhage. The others do not cause this. A young female presents with several "target-like lesions" on her arms, legs and thorax. She takes birth control pills and recently completed a ten-day course of penicillin. What is the most likely diagnosis? erythema nodosum causes PAINFUL purple nodules on the anterior shins. Target lesions are erythema multiforme - commonly caused by drugs (many drugs) and some illnesses, like mycoplasma Another common problem with OCP's is erythema nodosum which causes PAINFUL purple nodules on the anterior shins. Which of the following statements regarding infectious mononucleosis is FALSE? Infectious mononucleosis is caused by the Epstein-Barr virus. Splenic rupture is a dreaded complication of infectious mononucleosis. Streptococcal pharyngitis and infectious mononucleosis never coexist. The usual mode of transmission of the viral etiology of infectious mononucleosis is through infected saliva. Strep commonly co-exists with mono. Which of the following increases the likelihood that a patient will precipitate calcium-containing kidney stones? The combination of high sodium intake and high animal protein intake will raise urinary calcium more than high calcium intake will. The reason is that only a net of 100 to 300 mg of calcium is absorbed from the intestine/day. In contrast, 10,000 mg of calcium is filtered and 9,700 to 9,900 mg is reabsorbed by the kidney. Since sodium and animal protein inhibit calcium reabsorption by the kidney, it is not surprising that they affect urinary calcium substantially. A 54 year-old female enters your practice. She has a history of poor interpersonal relationships, chronic headaches and previous suicide attempts. After a few visits, you appreciate that she has an extremely demanding attitude and often directs anger toward you. Which of the following is the most likely diagnosis? This is a typical "borderline personality disorder" presentation. Which of the following is most likely to present with dysphagia? Dysphagia is the most common presenting symptom in a patient with scleroderma. Which of the following etiologies of acute hepatitis would most likely be followed by the development of chronic hepatitis? Hepatitis C is the most common blood borne infection in the US, causes chronic hepatitis in almost all persons infected, is the most common reason for liver failure in the US, and the most common reason for liver transplant. Which of the following diagnostic studies should be performed on all patients with acute exacerbations of asthma that present for evaluation? CXR is not necessary unless you suspect the patient has pneumonia. ABG's may be indicated in a severe asthma attack, but not typically. Peak flows should be done in ALL asthma patients with an acute exacerbation. It gives you a baseline, and allows you to decide how effective nebulizer treatments are. CXR is not necessary unless you suspect the patient has pneumonia. ABG's may be indicated in a severe asthma attack, but not typically. A mother brings her four year-old son to your clinic. She noted several "blisters" on his check and around his nose. On examination, you note several large flaccid, thin-roofed bullae on both cheeks and extensive involvement around the nose, as well as the extremities. Which treatment is the most appropriate? Erythromycin is not a bad choice, but choose diclox for staph aureus. This is impetigo (staph skin infection) For the Boards, use Dicloxacillin for staph. Mupirocin cream would be indicated if there was only a small area infected, although there now is an indication for Mupirocin (Bactroban) for staph in the nose. Erythromycin is not a bad choice, but choose diclox for staph aureus. A mother brings her adult son to your office, relating a history of two weeks of difficulty sleeping, irritability, and problems with relationships with others. He has also been very talkative, expressed a multitude of "great ideas" and just seems to "talk constantly." Several weeks ago, he seemed depressed. Which of the following diagnostic studies would be the most helpful in his evaluation? This Q suggests bipolar disorder - thyroid function should be checked in all patients with a psych diagnosis. A 47 year-old male presents with "crushing chest pain." He is a diabetic and smoker, with a history of hyperlipidemia and angina. Which of the following physical findings is most suggestive of acute myocardial ischemia? S4 is almost always present in an acute MI. During a newborn's first feeding attempt, choking, coughing and cyanosis occur. Historically, the mother had polyhydramnios during the pregnancy. Which diagnosis is most likely the explanation for the newborn's distress? This is the classic presentation of TE fistula - when the patient drinks he aspirates because there is a connection between the trachea and the esophagus. This is Hutchinson's sign and suggests an involvement of the cornea with herpes. An ophthalmologic referral is indicated. (Fluorescein staining would show a dendritic lesion on the cornea). A 65 year-old female is referred to your office by her rheumatologist, complaining of a severe, unilateral headache of a piercing quality. You examine the patient and cannot appreciate any pulsation of the temporal artery on the side of her head, ipsilateral to her cephalgia. While awaiting consultation of the appropriate specialist, you prescribe prednisone. Why has the prednisone been prescribed in this case? This is temporal arteritis (or giant cell arteritis). It is a vasculitis and can cause blindness if not treated aggressively with steroids. A 59 year-old, heavy smoker, presents for the evaluation of facial swelling. Upon examination, you note swelling, not only of the face, but also of the neck and upper extremities. You appreciate diminished breath sounds and tactile fremitus in the right upper lobe. Which of the following diagnosis is most likely? This is superior vena cava syndrome suggestive of bronchogenic carcinoma causing lymphadenopathy in the mediastinum which can impinge on the SVC. Which type of breathing pattern is classically observed at the bedside during acute diabetic ketoacidosis? may be caused by damage to respiratory centers, or by physiological abnormalities in chronic heart failure, and is also seen in newborns with immature respiratory systems and in visitors new to high altitudes. A 57 year-old female with a history of pancreatitis presents for the third time in three weeks complaining of midepigastric pain. At this visit, you perform a CT scan, which reveals a mass in the pancreas. Which of the following is the most likely diagnosis? This patient has chronic pancreatitis which predisposes this patient to cancer. The head of the pancreas is sometimes palpable. A patient's blood pressure is 172/96 mm Hg. Which of the following is the LEAST likely the etiology? Pericardial effusion would cause diastolic pressures. AV fistula would cause increased systolic pressures with decreased diastolic pressures as well. Thyrotoxicosis would cause high systolic, but low diastolic pressures (increased HR reduces filling time, so less EDV). PDA would cause increased systolic pressures with reduced diastolic pressures. Pericardial effusion would cause diastolic pressures. AV fistula would cause increased systolic pressures with decreased diastolic pressures as well. Thyrotoxicosis would cause high systolic, but low diastolic pressures (increased HR reduces filling time, so less EDV). PDA would cause increased systolic pressures with reduced diastolic pressures. A patient presents after falling down some stairs. The chief complaint is pain to the right thumb. During the examination, you note gross laxity in the first metacarpophalangeal joint when moving the right thumb into abduction. An x- ray reveals no fracture. Which of the following structures is injured? This is the ulnar collateral ligament - must be referred. Look at the anatomy of the thumb! her mammogram to be normal. Fibrocystic breast disease is most likely in this patient. Which of the following is the most effective prophylaxis for traveler’s diarrhea? Options for prophylaxis of traveler’s diarrhea include norfloxacin, ciprofloxacin, ofloxacin, or trimethoprim/sulfamethoxazole. A patient is started on a new antipsychotic medication for his disorder. Three days later he develops altered consciousness, lead-pipe rigidity, diaphoresis and catatonia. Vital signs reveal respiratory rate of 20, temperature of 105.6 degrees F, and pulse oximetry of 95% room air. Which of the following would be the most appropriate initial intervention in this patient? Neuroleptic malignant syndrome is characterized by extrapyramidal signs, blood pressure changes, altered consciousness, hyperpyrexia, muscle rigidity, dysarthria, cardiovascular instability, fever, pulmonary congestion and diaphoresis. Controlling fever and fluid support are the best initial management. With a normal pulse oximetry mechanical ventilation is not indicated. Which of the following is most frequently associated with renal cell carcinoma? Gross or microscopic hematuria, flank pain, or mass is common in renal cell carcinoma. What is the mechanism of action for aspirin? Aspirin inhibits platelet aggregation by blocking cyclooxygenase-1 activity. A 28 year-old man presents to the emergency department complaining of sudden onset of shortness of breath associated with sharp right-sided chest pain increased with breathing. On physical examination, respirations are 20 per minute and blood pressure is 120/76 mm Hg. Auscultation of the chest reveals absent breath sounds over the right apex with normal heart sounds. Percussion of the right apex is noted to be hyperresonant. Which of the following is the most likely diagnosis? This patient most likely has a spontaneous pneumothorax which is supported by the presenting symptoms of sudden onset of dyspnea and pleuritic chest pain as well as the physical exam findings of absent breath sounds and hyperresonance to percussion.